Since we moved out to the country, I’ve learned all kinds of “living off the land” tips and tricks from neighbors and friends who already live on a homestead. One of the first things I found to be particularly helpful was plantain. Plantain salve is a natural and frugal way to heal your family’s everyday wounds and bug bites without all the added chemicals and questionable ingredients. Plantain has been used by many cultures the world over, and the Saxons considered it one of their nine sacred herbs. It was considered an early Christian symbol and many cultures today refer to it as an aphrodisiac. Despite its usefulness, plantain is considered a noxious weed in some regions outside of its native range. It is traditionally used for upper respiratory support, and is topically used for minor cuts, bruises, and stings. The leaves of plantain are quite edible, and are often cooked as greens or used raw in salads. Older leaves have a stronger flavor and may be considered objectionable. 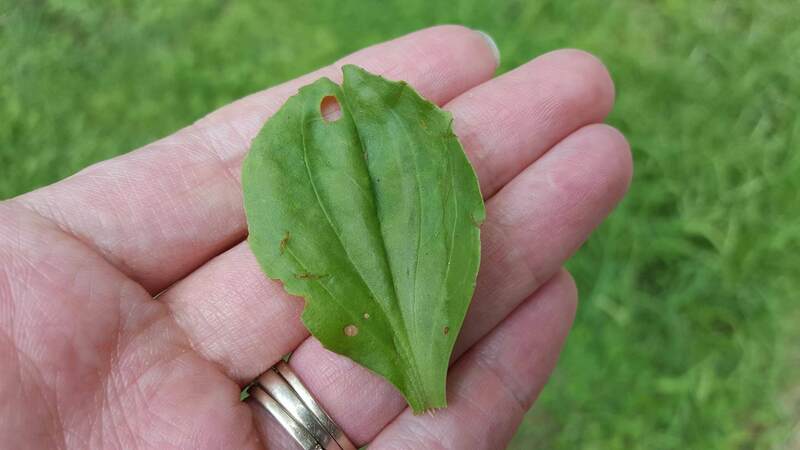 These older, stringy leaves may still be used in herbal teas, and are particularly suitable for survival situations where the tough fibers may be converted to rope or fishing line. Plantain is very high in vitamins A and C and is also a rich source of calcium. 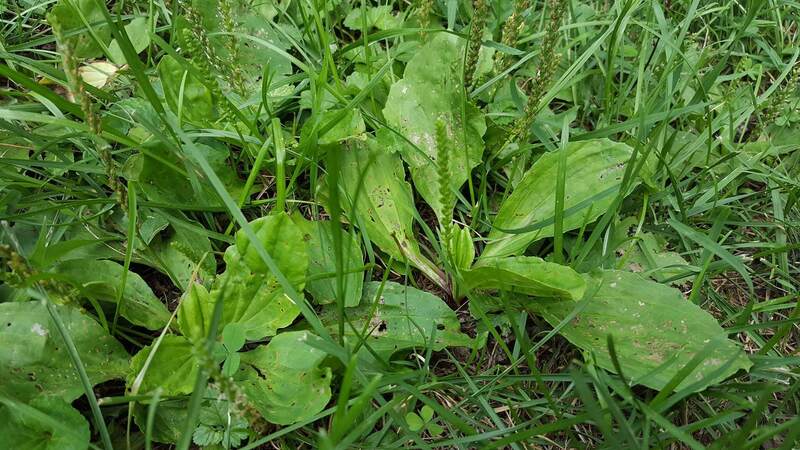 Here’s a small patch of plantain growing in my front yard. You can tell it’s plantain by the vertical venation pattern (grooves). Get the instructions for the plantain salve and read the rest of my post over at TOTS Network!